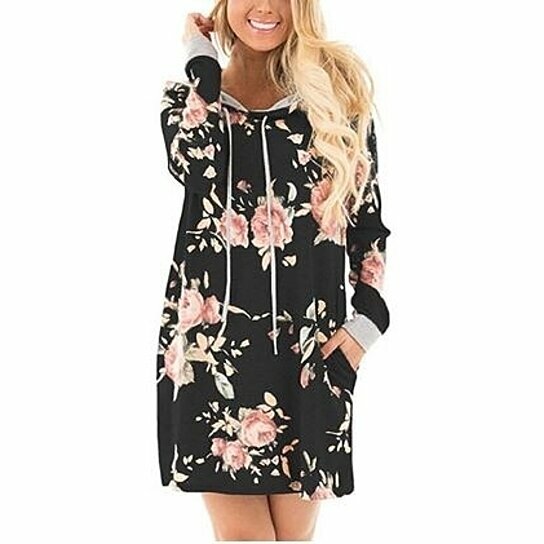 Incorporate comfort and style into your everyday wardrobe with The Floral Hoodie Dress. Features an adorable, chic design and made from 85% Polyester and 15% Cotton. Throw on when pressed for time and still want to look your best! Available in your choice of 2 colors and a variety of sizes.